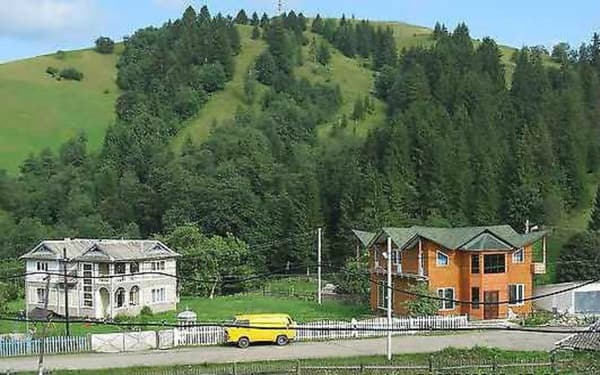 Private estate "Crown of the Carpathians" is located in a picturesque corner of the Carpathians - the village of Verkhovyna. 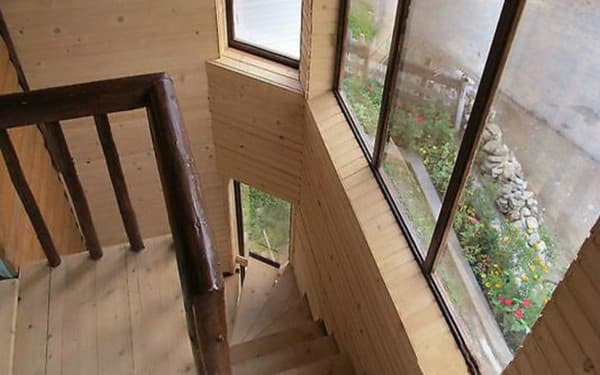 The two-storey house is designed for 12 people. On the 2nd floor there are 3 double rooms, 2 triple rooms and a kitchen. The first floor is closed, the entrance from the yard to the second floor is separate. All rooms of the estate are equipped with comfortable furniture, Internet access, private bathrooms. 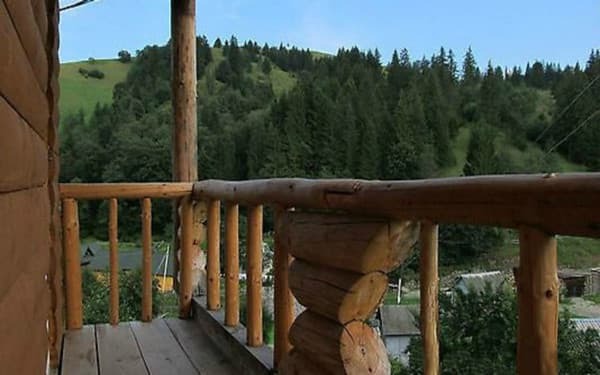 On the territory of the cottage "Crown of the Carpathians" there is a swing, a swimming pool with a fountain, a brazier and a gazebo where you can enjoy a delicious shish-kebab. 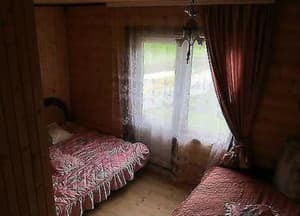 The owners of the estate will welcome each tourist, providing comfortable accommodation in rooms and an interesting pastime connecting with nature. The distance to Bukoveli is 55 km, Ivano-Frankivsk - 126 km. PRICES MAY CHANGE, IT IS REQUIRED TO RECEIVE INFORMATION FROM THE OPERATOR! 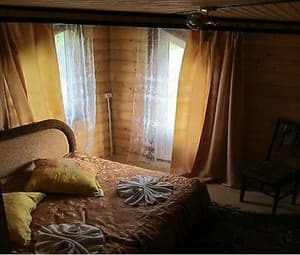 Описание номера: In the room - one double bed, all amenities. 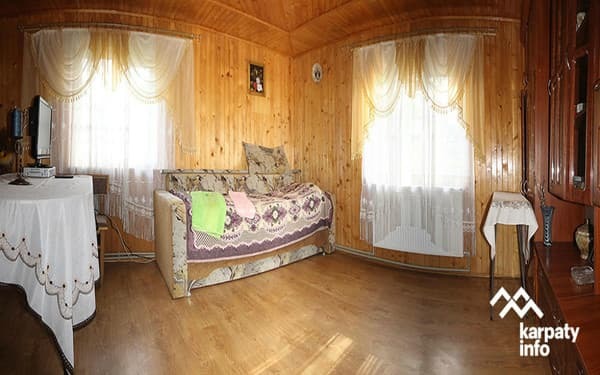 Описание номера: In the room there is one double bed and one single bed, all amenities. 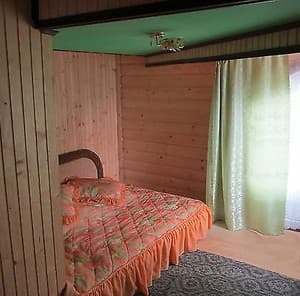 Описание номера: In the room - two double beds, all amenities. Description of the room: On the 2nd floor there are 3 double rooms, 2 triple rooms and a kitchen. The first floor is closed, the entrance from the yard to the second floor is separate. All rooms of the estate are equipped with comfortable furniture, Internet access, private bathrooms. Расположение дома ( из окон открывается вид на горы) , рядом магазины, заправка, минут 15 ходьбы рынок и банкоматы. В номерах есть все необходимое, в каждом номере балкон. Кухня полностью укомплектована всем необходимым для приготовления пиши. Хозяева очень радушные, открытые, гостеприимчивые люди, всегда помогут и подскажут что необходимо! Хотелось бы более чистый номер, вай-фай работал только где-то на балконе, воняла канализация. Children under 7 years old stay free of charge. Additional place - 50% of the cost. The hotel has a kitchen where you can cook yourself. The farmstead is 1 km from the center of Verkhovyna village, 100 m from the gas station, which is located on the P-24 highway. 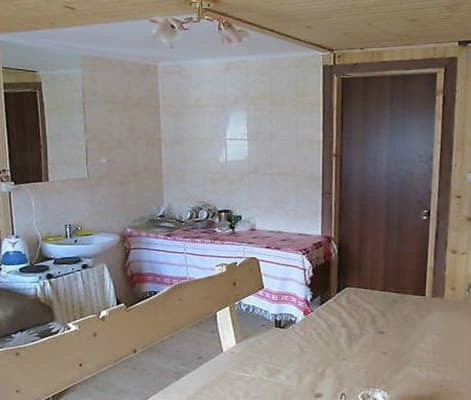 To the shop "Nadiya" - 30 m, to the restaurant "Ukraynochka" - 1,2 km. From the bus station of Ivano-Frankivsk by shuttle bus to the bus station in Verkhovyna. From the bus station in Verkhovyna along the main road along the river 800 m. Near the gas station turn right. After 150 m - the church and a nearby manor.